Find out how you and your students learn. Analyze with a Learning Style Inventory. Take the Test Learn how You Learn. 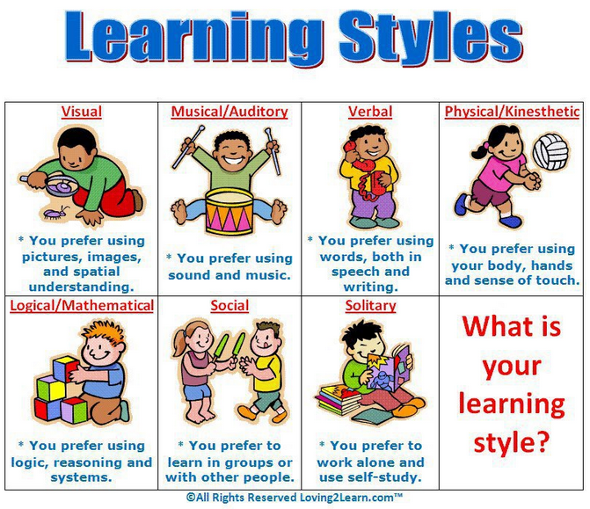 learning styles of our students. NPR's mix your own podcast service allows anyone to create their own unique collection of podcasts from NPR's library of thousands of podcasts. To use NPR's mix your own podcast service simply visit the page, name your podcast, select keywords and content, and then subscribe to your new custom podcast. listen to or create music just to name a few ideas. Five Ways to Listen Better - Julian Treasure reminds us of the need to slow down and listen to the people and the world around us. At the end of the talk he provides a simple framework for becoming better listeners. Also Four Ways Sounds Affect Us contains some interesting information about how sound affects our productivity. VoiceOver To make it easier for the blind and those with low-vision to use a computer, Apple has built a solution into every Mac. Called VoiceOver, it’s reliable, simple to learn, and enjoyable to use. DictaNote can be used as a Chrome extension or as a stand-alone tool in your Chrome browser. As a stand-alone service DictaNote allows you to create new documents by speaking into your computer's microphone. You can edit your DictaNote documents much like you would edit them in any other word processing program. DictaNote allows you to insert images and hyperlinks too. Voice Thread - similar to a podcast with the addition of adding and drawing pictures, and audience participation. Built-in audio recording software. 26 Ways to Use Voice Thread | five dozen examples of VoiceThread being used in a wide variety of content areas taught in K-12 classrooms. Find That File is a search engine designed to help you locate documents and media files according to file type. The Broadcasts program allows you to record audio files and distribute them to your students for playback on the computer or on their portable media devices. Audio Dropbox is a virtual dropbox for audio recordings. Using this new tool, you can put a dropbox for speaking assignments on any web page. Read the Words Website Website that allows the (registered) user to upload documents in a variety of formats, including Word, Adobe PDF, websites, etc. in order to have the text read aloud. Finished readings can be accessed from the Read the Words website or as an mp3 file or podcast. The site also claims that users can embed the readings onto their own websites, wikis, and blogs. I see this as a powerful tool when dealing with struggling readers or English-language learners. Flocabulary is an interest site that I found out about from Sue Gorman (Apple Distinguished Educator) for blending hip hop w/ learning to engage students in a exciting new way. This is a nice site to find free educational songs and videos and start a free trial. This Week in Rap also an option. Take a Step Back in Time with Old Time Radio Quite a bit of culture and history can be worked in to the listening of old time radio dramas. The potential for their use in the study of "story" in a language arts classroom is significant. The list of shows on the web and the possibilities of their use is huge. Many of the radio dramas of the 40's and 50's are available as a podcasts via iTunes or on the web via Old Time Radio Shows. Voxopop talkgroups are an engaging and easy-to-use way to help students develop their speaking skills. They're a bit like message boards, but use voice rather than text and a have a specialised user interface. No longer confined to a physical classroom, teachers and students of oral skills can interact from home, or even from opposite sides of the planet! can benefit from writing blogs, newsletters, and wikis for authentic audiences. Skype in the Classroom - Designed for education, this site brings teachers, projects and resources together from all around the world. 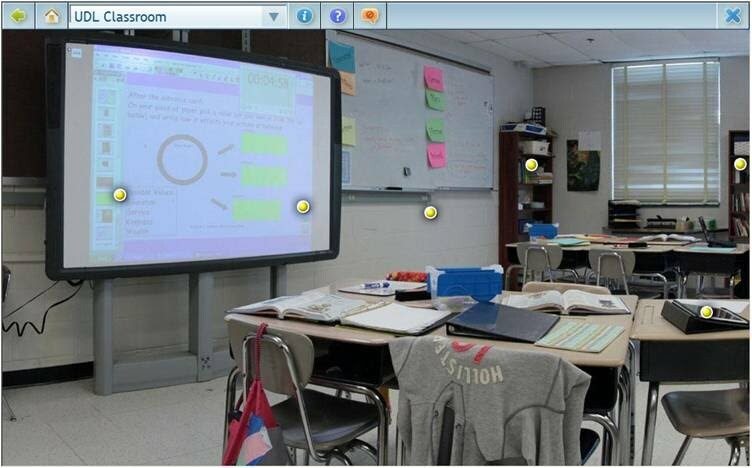 This is a free site designed for video conferencing and global learning. With ShowMe App, any teacher or student can become the next Sal Kahn making educational tutorials for your kids or for the world. Or you can do what math teacher Eric Marcos does on his terrific MathTrain.tv site and let kids be the movie makers. can demonstrate the steps to solving a math equation using screencasting software (screen-o-matic, Jing), then upload it to a wiki site for other students to use as a review. Offers opportunities for students to demonstrate what they know visually and orally. Records what you write, draw and your oral explanation Use a wide range of visual/graphic organizers to complement the materials that you use for teaching.Use pictures, short movies and animations. These can be made using a range of web tools. Bubbl.us: This flash-based mind mapping tools allows you to chart out your thoughts in a colorful format, share them with friends or embed them in blogs, websites and emails. Spider Scribe is an online mind map creation service. Spider Scribe can be used individually or be used collaboratively. What jumps out about Spider Scribe is that users can add images, maps, calendars, text notes, and uploaded text files to their mind maps. Users can connect the elements on their mind maps or let them each stand on their own. Mindomo: Premium versions of this mind mapping tool come at a cost, but you can get access to the basic version for free. It allows you to add links, pictures and text to mind maps and share them over the net. Dabble Board Take the tour to see the possibilities. Web-based interactive drawing features. Good example of the interative potential of the Web. Best4C This graphic organizer has an excellent selection of graphics and linking options. iCharts - A great site for creating an online interactive chart, either from scratch or a spreadsheet. Explania animated explanations of topics in technology and science. Some of their offerings are videos and some of their offerings are interactive animations. One of their interactive animations that could be quite useful for biology teachers and health teachers is The Human Heart. Graph Words is a simple visual thesaurus. To use it just enter a word and a web of related words will appear. You can click on any word in that web to generate another web of words related to the one you clicked on. You can click until you run out of words. Each web can be saved as an image. Exploratree You can access a library of ready-made interactive thinking guides, print them, edit them or make your own. You can share them and work on them in groups too. A great tool that is simple to use and creates wonderful results. aMap Allows people to communicate various sides of an idea. The underlying structuring of aMaps is based around "informal logic" - this is the logic people use to argue in everyday life. This can be applied to the classroom by using their site to create student debates on various topics. Flashcard Flash is a great search engine for finding flashcards. The way this works is by search flashcard sites for publicly shared flashcards. New Youtube for education. Screened Youtube videos If Yutube is blocked in your school pass this on. Administrators can enable to grant access only to screened content on YouTube EDU. Useful Charts - A wonderful collection of charts on any number of subjects. play educational video games, or even be the "behind the scenes" camera person or director in a video. use cameras to photograph nature and upload to a website.